Major themes from the event included microservices, containers, Conway’s Law, properly implementing agile practises, and, for some strange and inexplicable reason cat pictures. We also had 20 members of the InfoQ editorial team at the event. We filmed 26 interviews with speakers and will be publishing these, along with videos from the majority of technical sessions, over the coming months. 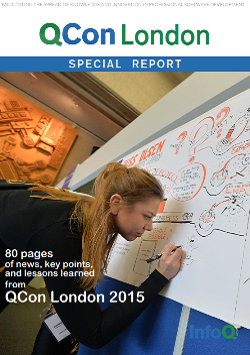 The InfoQ team also published a large number of related news items while QCon was running.